Why Kattappa Killed Bahubali ? 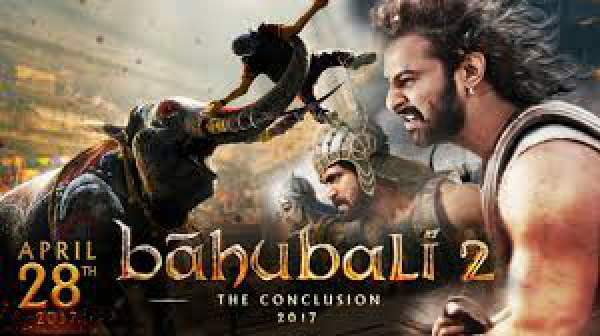 : As you know, the screening of Baahubali 2 aka Bahubali: The Conclusion has taken place on April 26, 2017. With the premiere/benefit shows (overseas), we got to know the question of the decade ‘Why did Katappa Kill Baahubali‘? It’s one of the most sought-after questions of the present times like ‘When Will Salman Khan Marry’? Check: JEE Main 2017 Result. Warning: This post contains explosive spoilers of Bahubali 2. So, don’t read if you want to keep your excitement intact. “it was Shivgaami who ordered Kattappa to kill Amarendra Baahubali. “Mystery is over. She did order Katappa to kill #Bahubali to make her real son Rana King,” KRK tweeted. Thanks, KRK for spoiling the fun. You so-called/self-proclaimed critic should be done by this time. KRK may have told us the very thing which was keeping fans hooked to the film, but it is not that simple. The viewers will have to watch and understand how the political drama among Sivagami, Bhallala Deva and Kattappa unfolds. It is full of twists, turns, and exciting sequences. Check: Bahubali Box Office Collection. As per the leaked report and what people are sharing on the social media, here is the answer. IT TURNED OUT TO BE JUST RUMORS. Katappa killed Baahubali to save him from curse of Goddess Maheshwari which may have turned him into a stone statue. Kattappa backstabbed Mahendra Bahubali because he don’t want to see the dead face of his master. Kattappa chose to backstab him to release him from the curse of getting turned into a stone idol. He was cursed following the victory of Mahesmati kingdom in a war. Note: An end report with real answer is very much awaited. Bahubali 2 releases April 28, 2017, worldwide. Stay tuned to TheReporterTimes.com for the Baahubali 2 review and Bahubali 2 advance booking reports.